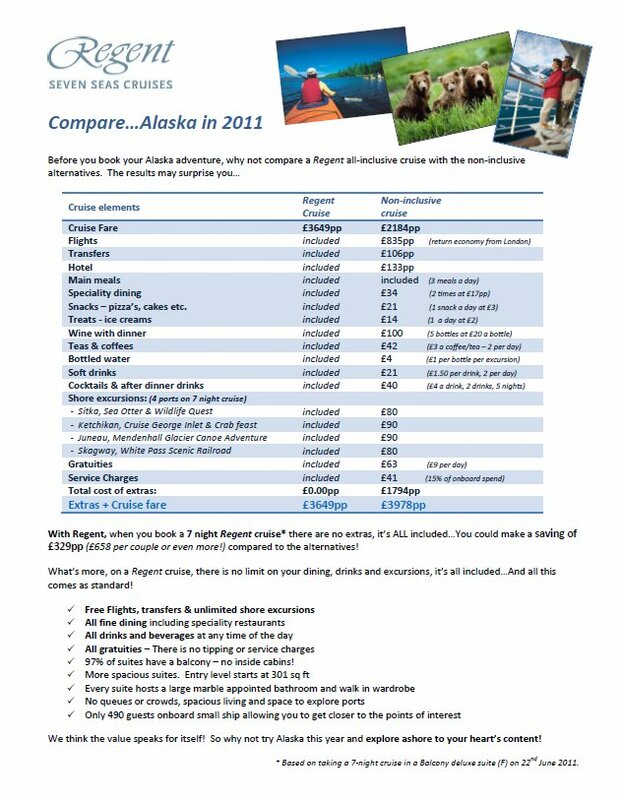 Regent have just released an interesting price comparison guide for their All Inclusive Cruises to Alaska. This document shows again that with Regent it is more cost effective to go ALL INCLUSIVE. Please click on the image to see full details.